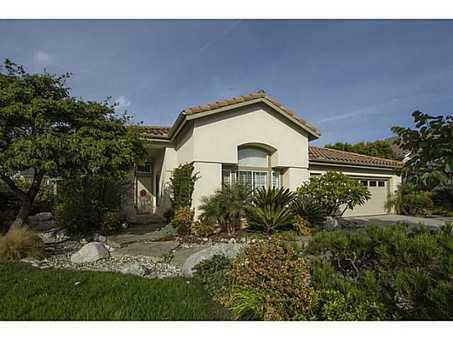 Aviara Single Story with Loft, Spacious Ceilings. Beautifully Upgraded throughout. Kitchen has Granite Counters, Upgraded Cabinets and Stainless Steel Appliances. Lots of Cherry Wood Built-ins in the Family Room and Den. Granite Counters and Natural Stone floors in All Baths. Master Bath even has Heated Floors. Large Lot with Spacious Side Yard that Transitions Nicely from Front to Rear. Nicely landscaped with Pond, Waterfall, Pebble Pathways, Patios and Barbecue area. Oversize 2 Car Garage., Recirculating Hot Water.